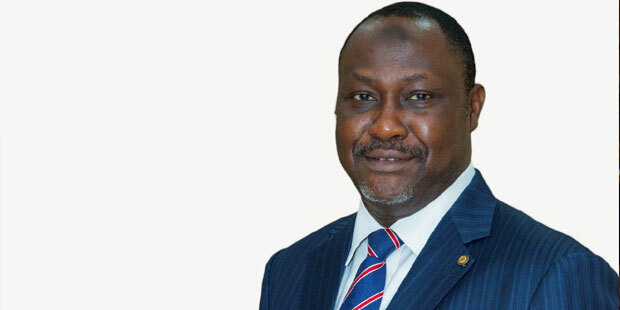 Africa Finance Corporation has announced the appointment of Samaila D. Zubairu as the Corporation’s 3rd President & Chief Executive Officer, succeeding Andrew Alli who comes to the end of his tenure, having successfully served in the position since 2008. The appointment follows a six-month search process that saw over 100 candidates apply for the role. “Mr. Zubairu will formally take the post imminently”, the company says. The 10 year old AFC is largely an Infrastructure funder and has been significantly involved in enabling E&P and power projects across the continent. “Zubairu is a distinguished Fellow of the Institute of Chartered Accountants of Nigeria (ICAN) and an accomplished Infrastructure development finance specialist with over 29 years of professional experience”, the AFC says of his Cee Vee. “He is the CEO of Africapital Management Limited, in which position he established a joint venture with Old Mutual’s African Infrastructure Investment Managers (AIIM) to develop the Nigerian Infrastructure Investment Fund1(NIIF1) for infrastructure private equity across West Africa. He also recently coordinated the $300Million acquisition of Eko Electricity Distribution Plc. 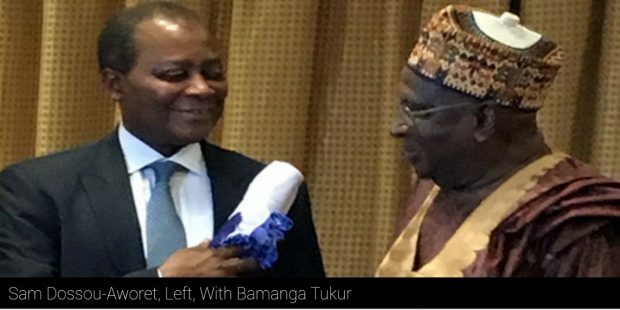 “He was the pioneer CFO for Dangote Cement Plc, during which he launched Africa’s largest syndicated project finance facility for a local corporate to actualize the Obajana Cement project and managed the watershed unbundling of Dangote Industries Limited to listed subsidiaries on the Nigerian Stock Exchange. He has led finance transactions for over US$3 billion covering: green-field project finance facilities, acquisitions, corporate transformation initiatives, privatization and equity capital market transactions. Samaila is an Eisenhower Fellow and sits on the Eisenhower Fellowship’s Global Network Council as well as the Advisory Council of the President of Nigeria. He is also an Advisory Board member for KSE Africa a leading Operations and Management provider of captive power plants in the mining sector of Botswana and Nigeria and is the Chairman of MDSA Nigeria Limited, a fintech company providing micro loans across sub-Saharan Africa. Samaila is the Independent Director and Chairman Statutory Audit Committee as well as a member of Finance and General-Purpose and Establishment and Governance Committees of Aiico Insurance Plc. He also serves as an Independent Director and Chairman of the Finance Committee for New Nigeria Commodity Marketing Company. “I look forward to joining AFC’s highly reputable team, and together, enhancing AFC’s position as an extremely capable project partner, able to deliver sustainable development projects across the Continent”, Zubairu says. ” I am confident of AFC’s market position as being best placed to surmount Africa’s multi-sectoral infrastructure challenges”. Tony Chukwueke has given notice of his exit from Transnational Corporation of Nigeria and Tenoil, both of which are controlled by Tony Elumelu, a very visible Nigerian businessman. Chukwueke has accepted the appointment, by Sterling Energy and Exploration Production Limited (SEEPCO) as the company’s Project Manager for Oil Mining Lease (OML) 13, located onshore Eastern Niger Delta. OML 13 is held by the Nigerian Petroleum Development Company (NPDC), who contracted technical services on the lease to Sterling Exploration, the aggressive Indian company. NPDC will fund the operations and Sterling will do the work. Mr. Chukwueke comes to the job with a wide ranging experience. A 1977 Bachelor of Science graduate in Physics from the University of Nigeria, Nsukka, he moved to the very top of Shell Nigeria’s widely respected Seismic acquisition unit of the Exploration department that he was officially titled the company’s “Corporate Geophysicist”, a very unusual title in the industry. He left Shell, after a stint in the UK covering the Middle East, to become technical assistant of the Minister of State for Petroleum, from which he became the Director of Petroleum Resources (2005 -2009). Chukwueke joined Elumelu’s Tenoil Petroleum and Energy Resources and Heirs Holdings in 2011, and has been energy director of Transnational Corporation of Nigeria since October 2011, right from the same office (Elumelu controls the three companies). Until has decision to exit, he had been in charge of the group’s strategy to emerge as one of the biggest indigenous oil and gas sector players, The primary job was to develop the Oil Prospecting Lease (OPL) 281 but the brief had since included Transcorp’s acquisition of Shell/TOTAL/ENI’s 45% equity in OMLs 11 and 17 for $1.2Bllion. Neither the development of OPL 281, nor the acquisition of OMLs 11/17, are anywhere close to realisation. Adewale Fayemi has left the position of Managing Director of TOTAL Exploration &Production in Uganda, for the equivalent position for the same company in South Africa. In his new job he will be overseeing frontier exploration, a contrast to oilfield development work he was doing in Uganda. This was, in any case, what he was doing before the Ugandan assignment: as Managing Director of TOTAL E&P in Cote d’Ivoire. Fayemi has been replaced by Pierre Jessua, who until now, was the Managing Director of TOTAL E&P in Congo. Fayemi spent 30 months in Uganda at the most crucial period of getting the $20Billion Albertine Basin development closer to financial sanction. On his watch, the French major influenced the decision to move the crude export pipeline from Hoima in Uganda to Lamu, in Kenya to Hoima in Uganda to Tanja in Tanzania. TOTAL also acquired 11% of the upstream stake in the project from Tullow and effectively became the key driver, with 44% equity. With his transfer to South Africa, he would not be the man on ground when the Final Investment Decision is taken, very likely before the end of 2018. It is on Jessua’s lap that this huge assignment lands. 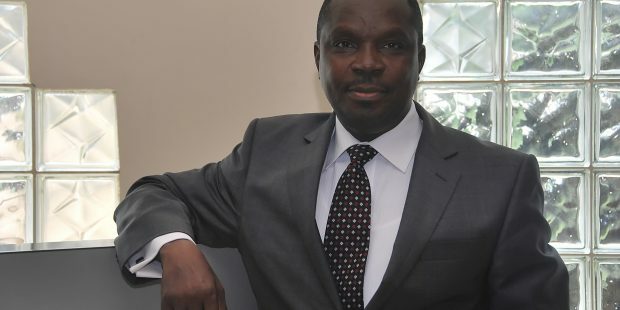 Effiong Okon, the newly appointed Executive Operations Director of Seplat Petroleum Development Company, is the likely successor to Austin Avuru, the company’s founding Managing Director and Chief Executive Officer. Avuru, 59, has served as Seplat’s CEO for seven years, and is likely to be stepping down from the role at the end of the decade. Okon, a 1991 Petroleum Engineering graduate of the University of Benin, has over 26 years of experience in the E&P sector of the hydrocarbon value chain, and has “undertaken a breadth of senior technical and leadership roles with Shell during that time, both in Nigeria and internationally”, Seplat says in a release. “He has proven expertise in successfully developing and operating upstream oil and integrated gas projects in Africa, Europe and the Middle East regions”, the company notes in the statement. “During his time at Shell he was General Manager for Deepwater Production for Shell Nigeria, winning best asset in Shell’s global portfolio in 2016 for his work on the large scale offshore Bonga field. In addition, he was deputy VP for the upstream gas supply to the Qatar GTL and LNG mega projects”. Seplat had been searching for a successor to Avuru for a while. 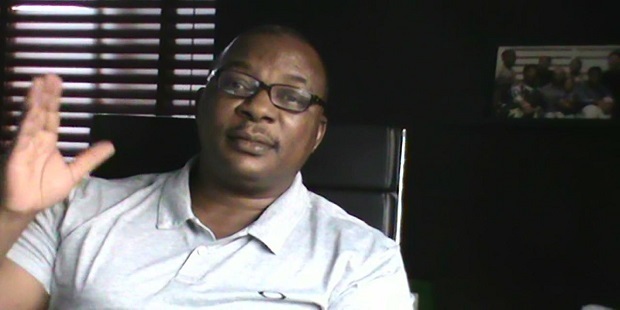 One strong consideration was Addax Nigeria’s Technical Director, Chikezie Nwosu, who passed over the job. Avuru is a widely regarded oil and gas industry leader on the continent. He led the company into takeover, from Shell, of operatorship of Oil Mining Leases (OMLs) 4, 38 and 41 in 2011. On his watch, Seplat quadrupled production of crude oil in those assets from less than 20,000BOPD to close to 70,000BOPD (today). In the event, these OMLS are the coompany’s base business assets. Avuru led Seplat to listing on the main board of the London Stock Exchange and the Nigerian Stock Exchange. He built a natural gas monetisation machine currently delivering over 350MMscf/d, from the 150MMscf/d the company took over from Shell, and acquired operatorship stake in OMLs 53 and partnership in OML 55 and Oil Prospecting Lease (OPL) 283. He has over two years to engage Okon in the hand over process. 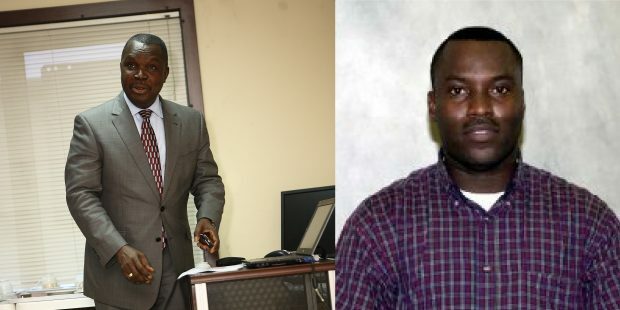 Jude Egbokwu was trying to progress his career as IT Telecoms Engineer at Chevron, the American oil giant, when he enrolled for a masters’ degree course in IT at Loughborough University in the United Kingdom. “While at Chevron, I’d nursed the thought of being on my own. My eighteen-month study leave at Loughborough University was an eye-opener. It showed me where the direction of technology was heading”. Upon return from his study-leave, he knew he was on his way out. His intention was to stay for a year or two planning his exit, but that was not to be as some incidents hasten decisions. “There was a Chevron policy stating that once you undertake a study-leave, there’s no guaranteed resumption to your former position. By then, I’d worked a decade as a telecoms engineer looking after operations in Lagos, Port-Harcourt, Onne and providing support as far as Angola”, he recalls. Upon resumption he was displaced from the organogram, demoted from working on corporate projects to an analyst working on a small project like Onne. “My newly acquired knowledge of Information Technology, understanding programs and codes presented me the ability to marry both IT and telecoms. It makes you more robust in an environment like that. I could still have been of use in Chevron, for reasons best known to my superiors, I was cubby-holed. It precipitated my early departure and that’s how I started UnoTelos”. UnoTelos is a systems Integrator Company specializing in integrating different parts of telecoms technology-hardware, software, professional services together into a new or existing network be it add-ons or Greenfield, was registered in 2004. Actual operations began fully in 2005. “Our first job was a N20,000 (around $1,500 at the time) cabling contract done in 2005. Funding was very difficult to access. Companies are wary of awarding big jobs to novice companies for lack of track record. UnoTelos at the time didn’t have the capacity to get those projects done. Projects I could handle as a project engineer in my former employ, got no sanctions as a sole entrepreneur approaching banks or big companies. So mundane works sub-contracted by a third-party were what was on offer, I simply took on those jobs. There’s an element of luck in business. My previous relationship with the Chairman of Arik Air earned us our very first break. Most of the telecoms work executed around infrastructure of Arik Air, cabling of their offices, branch offices, airport, and supplies of IT consumables was done by UnoTelos. That gave us the leverage to execute other projects. “Working with MTN in 2009, we became the first indigenous company to deploy a network-based security solution across all bearers i.e. SMS, Web, Email and across all access technology from Wimax, 2G, 3G presently 4G, ADSL. Our technology was there to provide the security around it. The second break propelling us further. Eight years on, we’re still working with MTN”. UnoTelos started with three individuals. Egbokwu himself as MD, H.R Manager, Safety Manager doing a whole lot, an Admin person and a young engineer named Mayowa Adekoya who joined the company in 2005 fresh out of Igbinedion University. “He has been with us since then growing in status as a network engineer. At present we’re fourteen staff members working out of the three operational bases in Nigeria, Ghana and South Africa. We have shelf offices in Kenya and Liberia and recently added an offshore support office in USA. “We’re a technology company, we don’t undertake projects outside of our purview. We do our due diligence well. Victoria Crown Plaza Hotel presented the most rewarding case by testing out a new technology at the time-IPTV. Though it came with its own issues, we deployed it successfully. It’s still working till date”. 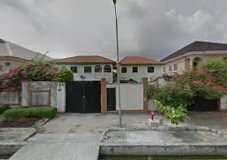 Winning the 2015 ICT Integrator Award in 2015 was a testament to UnoTelos Limited adherence to meritocracy, Egbokwu says, adding that the company has a continuing pile of work orders that it generates yearly revenue of about ₦1Billion naira (about $3Million). “Infrastructure deficit is a major problem in Nigeria. The mobile operators shouldn’t be in the business of generating electricity nor providing their own security to start with. That drives up their operating costs. That’s why we’re paying so much for mobile services in Nigeria. Electricity majorly is the biggest problem for infrastructure. Next is Right-Of-Way to lay fibre-optic cables is also a big problem in Nigeria. Multiple taxation another bedevilment. Lack or inadequate access to foreign exchange also a problem as most of the hardware and software deployed are paid for in foreign currencies. “For our future plans we’ve incubated three start-ups. Cenica which deals with social media analytics. MineGuard deals with mobile apps and device business. We have a special device we’re working on. The third start-up is Adzinga Media. It is our digital media that does video streaming amongst other streaming technologies. We’re also invested heavily in farming. We diversify a lot. I see myself as a serial investor. I do a bit of real estate as well. We’re beginning to buy and retrofit buildings. An upcoming project is a boutique hotel and offices where we’ll deploy our technology services, sort of like a test site. We’re seeking to become an enterprise provider. We’re going into areas where we can do Revenue sharing (rev-share) with mobile operators by installing our cloud services, and our own content distribution network. All fully owned by UnoTelos. The investment we’re doing now is going in that direction. Around the Artificial Intelligence (AI) space, we’re looking at working with Ingram Maku of who we’re a certified partner. Ingram Maku is one of the biggest cloud services technology provider in the world. They belong to a federation (that’s what they’re called) we’re looking to introduce our own indigenous content distribution network. Our goal is to have this content where it can consumed outside this country. Those are the areas we’re looking at. We also have our own drone for contour and aerial mapping”. Jude Egbokwu is happily married to Abimbola with five children. He likes to travel, collect art and plants on his many forays. The man who headed BG as the company was swallowed by Shell in 2016 has been named the next Chairman of one of the world’s five oil majors. Helge Lund will join the BP Board as chairman designate and a non-executive director on 1 September 2018. He will be appointed chairman on 1 January 2019. Mr Lund will be succeeding Carl-Henric Svanberg. He will have a base in London. Lund, 55, has something like a rock star status in the leadership ranks of large oil and gas companies around the world. He is chairman of Novo Nordisk AS in Denmark, and “will stand down with immediate effect from his directorship at Schlumberger, the global oil service group”, according to a statement published by BP’s corporate affairs unit. Lund served as Chief Executive of BG Group from 2015 to 2016 when the company merged with Shell. 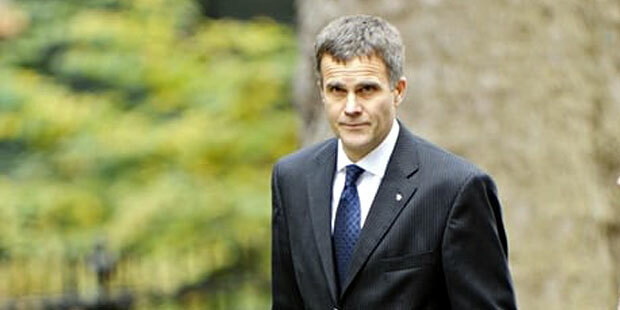 He joined BG Group from Statoil where he served as President and CEO for 10 years from 2004. It was in his 10 years at Statoil that he made his name, transforming the company, according to several accounts, from a local operator into an important global force, active in areas such as the Gulf of Mexico and Russian Arctic. BG, desperate for a “company-builder”, to head its business after some difficult years and the forced exit of Chris Finlayson, poached Lund from Statoil in 2014, with a $17Million golden hello and other perks. Prior to Statoil, Lund was President & CEO of Aker Kvaerner, an industrial conglomerate with operations in oil and gas, engineering and construction, pulp and paper and shipbuilding. He has also held executive positions in Aker RGI, a Norwegian industrial holding company, and Hafslund Nycomed, an industrial group with business activities in pharmaceuticals and energy. His appointment as BP Chairman is the culmination of a thorough search conducted by the full BP Board led by Ian Davis, the senior independent director. “Mr. Davis said that the search process had been worldwide and rigorous. This produced an impressive list of diverse candidates from the UK, continental Europe and the US”, BP’s statement said. A new Energy Minister was part of the cabinet portfolio changes effected by South African President Cyril Ramaphos a President in the last week of February 2018. 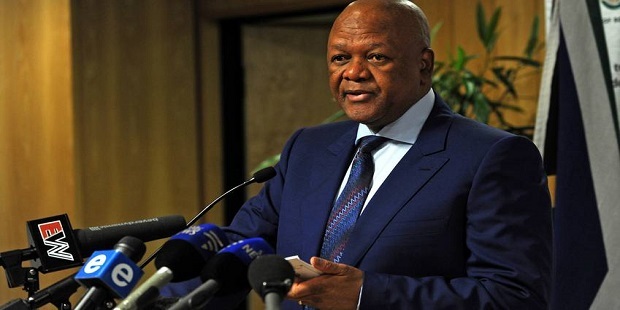 Jeff Radebe, veteran member of the ruling ANC, was moved from the position of Minister in the Presidency to the Energy Ministry. His was one of the 24 changes the new President made in the 38 Cabinet portfolios. Mr.Radebe, who has been a South African minister since 1994, is the sixth in succession, in the last five years, to Dipuo Peters. After Ms.Peters served as Energy Minister from May 2009 to July 2013, former President Jacob Zuma made several changes in relatively quick succession. Ben Martins, Tina Joemat-Pettersson, Mmamoloko Kubayi-Ngubaneand, most recently,David Mahlobo, followed. Under their watch, debts piled up and reputation floundered as corporate governance weakened in PetroSA, the country’s hydrocarbon E&P company; a Gas master plan, on the drawing board for over a decade, remained stubbornly on the back burner; the Integrated Energy Plan is out of date; oil companies have dithered about exploration in South Africa as uncertainty grew around the content and likely passage of the Mineral and Petroleum Bill; the country’s widely applauded Renewable Energy programme suffered disinvestment as Eskom, Africa’s largest Energy Utility, called off the connection of completed projects into the National Grid. The last victim of the country’s unforced Energy crisis is the plan to roll out a gas to power, Independent power programme. Radebe was a student when he joined the African National Congress (ANC) in 1976. The following year, he was dispatched to Mozambique and soon after to Tanzania where he worked as a journalist for a radio station in Dar es Salaam. Radebe was arrested in 1986 after an unsuccessful secret mission by the ANC, and was convicted under the Terrorism Act of the then Apartheid government. He was sentenced to a 10-year imprisonment on Robben Island. After a successful 12-day hunger strike, he was released from prison in 1990. Radebe served as Minister of Public Works from 1994 to 1999 under Nelson Mandela. President Thabo Mbeki made him Minister of Public Enterprises (1999–2004) and Minister of Transport (2004-2009). He was Minister of Justice and Constitutional Development from 2009 to 2014. Radebe is South Africa’s longest continuously serving cabinet member. South Africa’s media has outlined priorities for Mr, Radebe. “He has to reinforce the message that nuclear is unaffordable and is not on the cards”, wrote Engineering News, a reference to widely reported insinuations that former President Zuma was keen on foisting the building of very expensive, large scale nuclear power plants on the country. The newspaper also wants the minister to reaffirm government’s support for the country’s Renewable Energy Independent Power Producer Procurement Programme, “which has delivered more than 60 projects to date, while simultaneously facilitating a material decline in renewables tariffs. He can deliver a quick win by overseeing the signing of the 27 power purchase agreements that have been illegally delayed by Eskom”. Sam Dossou-Aworet, the widely influential Beninois businessman, who is Chairman of the Board of NDWestern Ltd, has been elected President and Chairman of the Board of the African Business Roundtable (ABR). 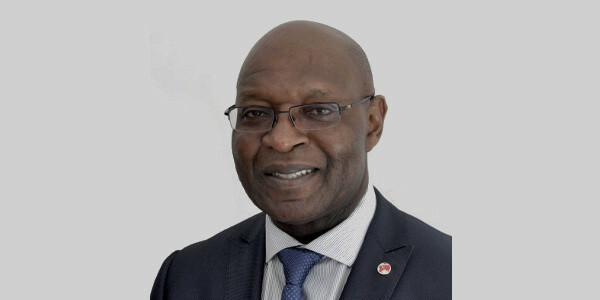 Dossou-Aworet is first and foremost founder and Chairman of Petrolin Group, which has extensive interests in oil and gas operations around the globe. Petrolin holds about 40% of the equity in NDWestern, a special purpose E&P firm which holds 45% in Oil Mining Lease (OML) 34 onshore Western Niger Delta. 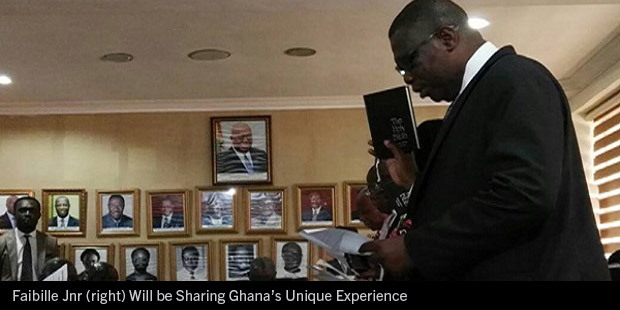 Going by his pedigree, it is unlikely that the Presidency of the ABR will excite Dossou-Aworet, unless he plans to turn around the moribund entity, described in a recent press release as an affiliated group of the African Development Bank (ADB). The toothlessness of ABR is evidenced by the fact that one man, Bamanga Tukur, a politician from Northern Nigeria, had held the Presidency for over a decade. And for all the conversations around Africa as an emerging business hub, ABR’s voice has hardly been heard. Dossou-Aworet has far more influence in the business world than his predecessor on the job. His tenure may provide the tonic that ABR needs to step up and make impact on the African business landscape. Until he makes the required changes, his takeover of ABR is meaningless. 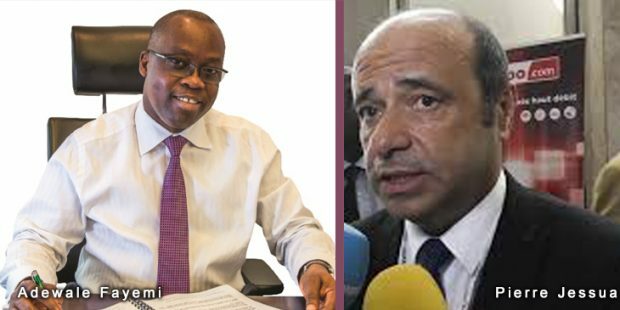 Frank Mugisha and Egbert Faibille Jnr, heads of the petroleum regulatory agencies in Uganda and Ghana respectively, are expected to join dozens of leading industry personalities at the two day West African International Petroleum Conference starting in Lagos Wednesday, February 7, 2018. Mugisha, who is acting Commissioner at the Petroleum Directorate in Uganda’s Ministry of Energy and Mineral Development, will be speaking in a panel titled ‘Africa Overview’, scheduled for 12 noon on Wednesday. His participation is expected to provide new information about Uganda’s large scale oil development, the 200,000BOPD Lake Albert Basin project, scheduled for financial close sometime in 2018.